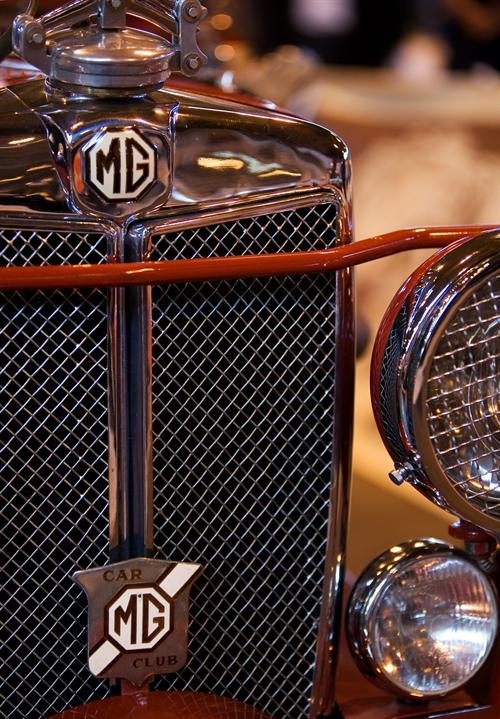 Fans of the British sports car manufacturer MG Car Company will be celebrating at the International MG Show and Spares Day taking place at Warwickshire’s Stoneleigh Park on Sunday 19th February 2012. Whether you’re the driver of an early two-seater model or a fan or the later sporting saloon, everyone is welcome to come and kick off the classic car calendar at what promises to be a fantastic day out. The MG Car Company was founded in the 1920’s but it was much later in 1962 that the popular MGB sports car was launched. Celebrating its 50th birthday in 2012, the MGB was introduced as a replacement to the MGA and was considered quite modern in its design. With its monocoque structure replacing the more traditional body on frame construction, its lightweight design and 1798cc BMC engine produced a performance of 0-60mph in 11 seconds. Following the introduction of the MGB Roadster in 1962, later derivatives such as the MGB GT and MGC were launched before production ceased in 1980. A brief revival in the guise of the RV8 saw 2,000 limited edition models produced in the early 1990’s. Sponsored by Heritage Insurance, the International MG Show and Spares Day features displays from many of the UK’s most dedicated motoring clubs showcasing many rare and stunning examples of MG models through the ages from the Midlands-based manufacture. If your pride and joy isn’t quite up to show condition and you’re project is in the restoration stage then why not pay a visit to the ever-popular autojumble. Whether your looking for a replacement body shell, interior components or mechanical widgets the autojumble covers a broad range parts and accessories to complete your project. The International MG Show and Spares Day is open from 10am until 5pm. Tickets are available to purchase in advance at £8* for OAPs and adults (*£1 transaction fee) or £10 for OAPs and £12 for adults on the gate. Under 16’s free when accompanied by an adult. Advance ticket holders will also benefit from ‘Early Bird Access’ from 9.00am, allowing you to beat the queues and bag an early bargain! Car parking is free. To book tickets, call 0871 620 7067 or visit the website at http://www.mg-show.co.uk for further updates. For trade or club enquiries please contact Kelly Delaney on 01775 768661 or email kelly@livepromotions.co.uk.